A self-described “modern nomad”, Krzysztof Candrowicz has called several destinations worldwide home. The latest is Hamburg, where he shares a Bauhaus flat in Hammerbrook with a community of seven others, and where he’s found satisfying work as both a curator and an artistic organizer. Already the force behind such events as the International Festival of Photography in Lodz, the Lodz Art Center and the Photo Festival Union, he’s just been named the Artistic Director of this year’s Triennial of Photography, which will put a spotlight on Hamburg’s art scene — and, in particular, its photography. 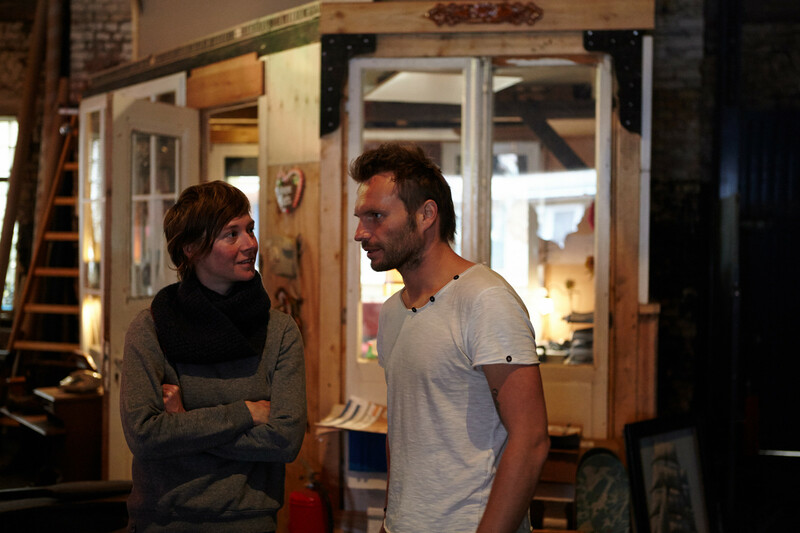 First, we visit Krzysztof at his home in the Künstlerhaus in Hammerbrook, before joining him on a tour of a few select art destinations in town. Along the way, we discuss his work for the Triennial, his goals as a curator and his feelings about adopting Hamburg as a home (for the time being, that is). The only house in Hammerbrook that escaped bombing during WW2, the Künstlerhaus is now home to various artists and their studios. 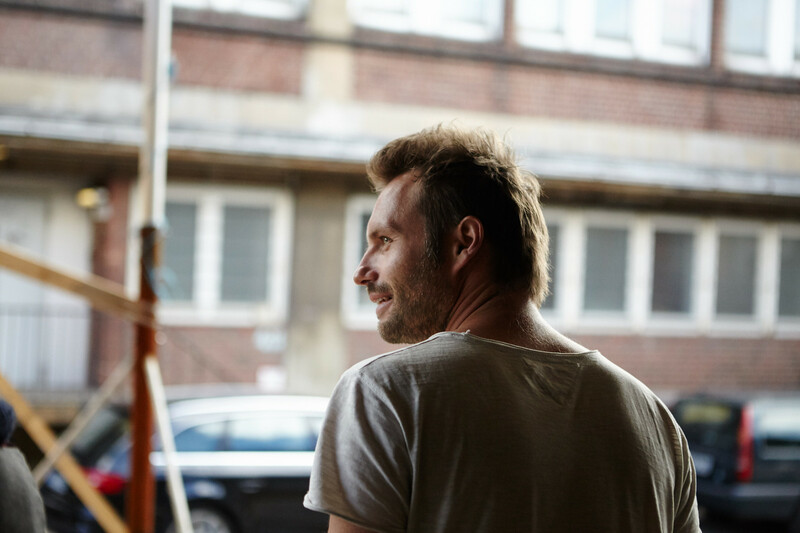 Krzysztof welcomes us on the top floor of the building, where he shares a flat with seven creatives who have converged on Hamburg from all over the world. Krzysztof, we hear you just returned from Poland. What brought you there? I was in Poland to conduct the Lodz Photo Festival, which takes place every year in June. It’s all a bit crazy these days: hosting the festival in Lodz, as well as organizing the Triennial in Hamburg. There’s also one other festival which will take place in July – Arles, the largest photo festival in the world. Was the Triennial of Photography the reason for your move to Hamburg? Certainly. After I won the contest for the artistic direction of this year’s Triennial of Photography in January 2014, I moved here immediately. You share your flat with seven other people. In your eyes, what makes a place home? It’s all about the people. I do enjoy living in a nice Bauhaus house, but other than that, again, it’s all about the people. We are a community of various backgrounds, be they Columbian, German, Polish. We share, we hang out, we have breakfast and watch movies together. You’ve not only lived in Poland and Hamburg, but spent some time studying in Greece and working as a lecturer at several universities throughout Europe and the United States, too. What country or culture has made the biggest impression on you? Definitely Portugal. There are two very important places for me on this earth, and one of them is Portugal. I love the Portuguese spirit – the people are amazingly creative, but very modest at the same time. That inspires me. The second place that has touched my heart deeply is Nepal. If you want to learn about life, I suggest you head there. The people have nothing, at least from a Western point of view; however, they are the happiest on earth. Everything belongs to everyone. I like this as a moral concept. Despite having spent many years away from Poland, do you find that your background is still an influence on your work? It surely is. Polish people are very hard-working and focused on their goals, but they’re romantic at the same time. I would even say we sometimes have utopian ideals, simply because we are very emotional. We use our hearts more than our brains. That’s my philosophy in life, too – I trust my feelings. When did you start becoming interested in photography? Quite early, thanks to my father, who is an amateur photographer. When I was young, he would let me develop pictures in our darkroom, which was actually the bathroom. I loved it. I spent hours and hours developing pictures. It was magical. As the curator of the 6th Triennial of Photography, what message do you want to send to the people of Hamburg and beyond? Basically, my goal is to stimulate Hamburg. There are so many amazing things going on in this town – museums, galleries, events – but none of them are connected. I want to combine all the different audiences for each into one. Apart from that, I want to show that Hamburg is an important place for photography in Europe. Because that’s what it is, but nobody knows. Mind you, Hamburg is home to the largest photo museum in the world, and art galleries such as the Robert Morat Galerie – there is an amazing art scene here on the one hand, but on the other, nothing is really happening. Hamburg is often described as a very conservative city. Do you think the people here are ready for your concept of the Triennial? I do, yes! I mean, obviously, it’s a process and we certainly need more than one Triennial to change the local art scene. But in the end, yes, Hamburg is ready. In fact, photography as a form of art started in Hamburg with the exhibition Kunst Fotografie in Kunsthalle in the 30s. We tend to only consider the United States when looking back at the history of photography, but it actually started in Hamburg. Hundreds of photographers were being considered artists for the first time, and showing their work in a big museum. The motto of this year’s Triennial of Photography is, “The day will come”, so let’s talk about the future for a moment. How do you see photography changing over time? I think photography will become more democratic. Obviously, powerful institutions such as the MoMA in New York will continue to be decision-makers, but in the end, becoming an artist has never been easier. You can just upload your work to a website or publish it in a magazine – and you could become very powerful. I like seeing that photography is more spread out these days. From Hammerbrook, we head toward the renowned contemporary art center Deichtorhallen for a better idea of what will take place during the Triennial. According to our host, the main exhibition will be shown here, with work by photographer Phillip Toledano as well as numerous portraits from the collection of F.C. Gundlach. I think Deichtorhallen is the most beautiful institution for photography in Europe. It’s like a cathedral – magical and impressive at the same time. People tend to forget or ignore that Deichtorhallen is the largest photo museum in the world – Hamburg should be much more proud of it. What can we expect here in terms of the Triennial of Photography? First, we will show an impressive exhibition featuring 14 pieces of art by Phillip Toledano, curated by Dr. Sabine Schnakenberg. The exhibition deals with the future of photography, completing the motto “The day will come” with the words “when photography revises”. We will also show photographs from the art collection of F.C. Gundlach, who is the founder of the Deichtorhallen and, therefore, the inventor of the Triennial of Photography. 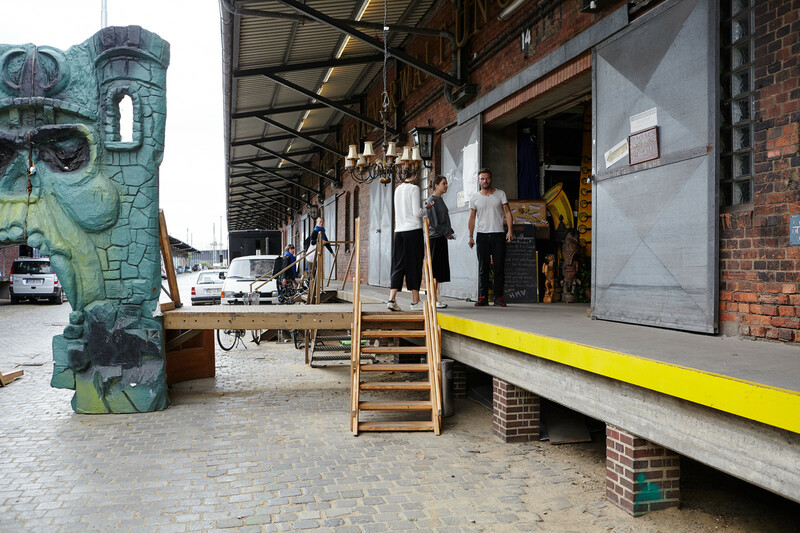 Second, we will place 40containersaround Deichtorhallen, introducing the visitors to the Triennial and giving them an overview about what is going on where between the 18th and 28th of June. From Deichtorhallen, we drive to Oberhafenbrücke to have a look at Oberhafen area. Although there isn’t much to see yet, Krzysztof introduces us to an impressive art equipment stock out of the blue: the so-called Hanseatische Materialverwaltung. 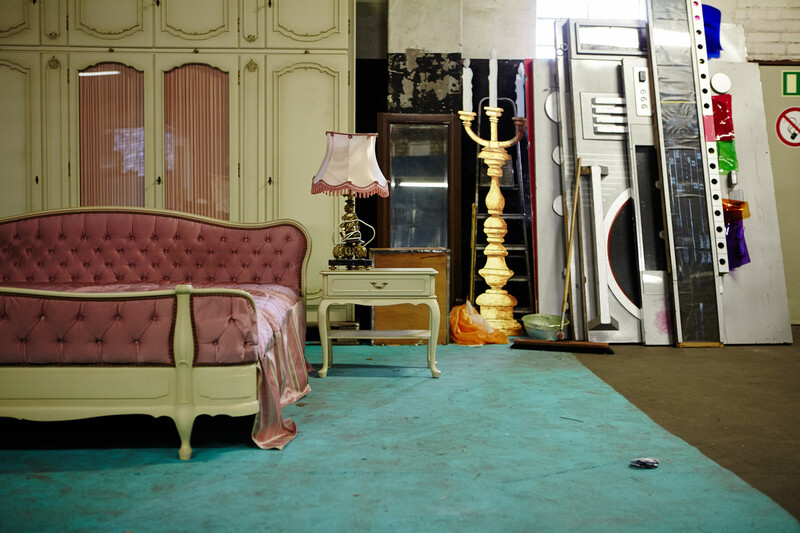 It’s divided over two large hangars, lending clothes, furniture and other props to theaters and film productions. Next, we head to Hall 3 of Oberhafen area, where Snapshot, an exhibition dealing with the Internet’s effects on photography, will be shown during the Triennial. On-site, we meet Nina Venus, co-curator of the Triennial of Photography, who invites us to her studio at Oberhafen. Do you work here permanently, Nina? I do indeed. I’m one of the few who hasn’t been chucked out of the building by the city council. I’ve had my studio here at Oberhafen for 13 years. How did you and Krzysztof get to know each other, and how did you end up as co-curators of the Triennial of Photography? We met via Henriette Väth Hinz, who was the curator of the Triennial the last couple of years. In fact, it was she who asked me whether I would recommend Oberhafen as a location for the Triennial. Obviously, I said yes. Can you tell us what is going to happen at Oberhafen during the Triennial? We have planned various events, including an opening dinner for 100 people, and an ensuing opening party for everyone on the 19th of June. However, the main attraction here at Oberhafen is the exhibition AREA: REVISITED, which I curated. It shows photographs by Volker Hinz of a famous nightclub and event space called Area in New York. 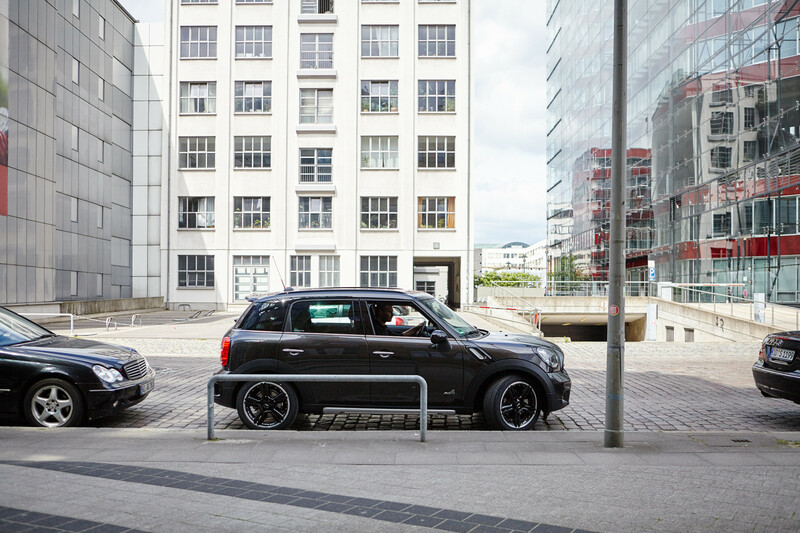 The idea was to bring vibes of this legendary 80s institution to Hamburg. 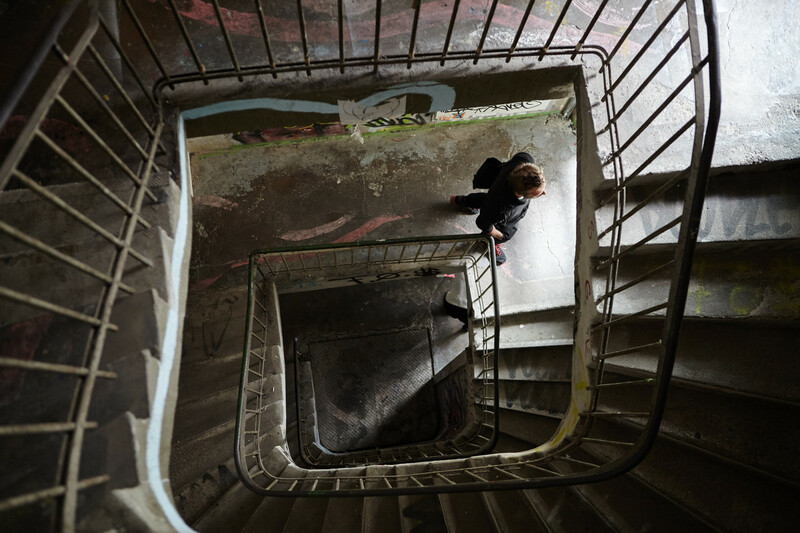 What will happen to Oberhafen after the Triennial of Photography? With Oberhafen now an official cultural and creative area in Hamburg, the plan is to create a unique space for exhibitions and events, and a meeting point for artists and curators. Having just discussed the international influence of the Robert Morat Galerie, Krzysztof is eager for us to see it for ourselves. Though Robert himself is absent during our visit, we’re able to learn more about its significance in the art world and its place in the Triennial of Photography. Why did you want to bring us to the Robert Morat Galerie, Krzysztof? That’s easy – because it is surely the most relevant gallery in Hamburg, from an international point of view. I had heard of it even before I’d heard of the Triennial of Photography, to be honest, and I do not want it to be missed during the Triennial. What is going to happen here during that time? Robert is currently showing two exhibitions which can be seen all summer: Waldungen and Portraits by Bernhard Fuchs. In terms of the Triennial, the gallery will function as a satellite exhibition space, hosting Triennale Abend on the 20th of June. 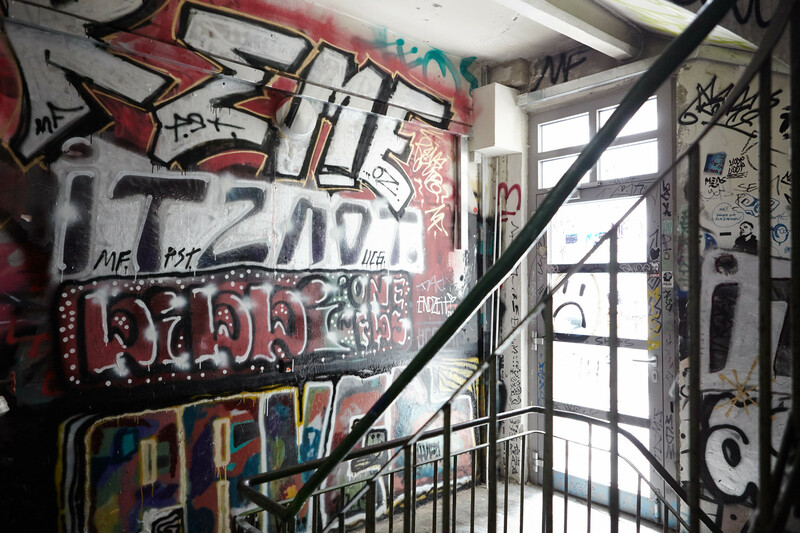 To close, we head west toward Schanzenviertel, a lively neighborhood known for its bars and cheap international eateries – but Krzysztof recommends the area for its art, as well. When he isn’t spending his free time rummaging for antiques at the local flea market, he’s likely heading to a gallery. One such destination is Die Schlumper, an institution consisting of two locations near Feldstraße, which shows the works of both handicapped and non-handicapped artists. What do you love about Schanzenviertel? I spend a lot of time in Schanze because it feels familiar. I feel like people live more slowly here than elsewhere in Hamburg. Life is not about business – it’s about enjoying the moment. I also like the creative spirit in Schanzenviertel – the fact that every now and then, pop-up bars, galleries or events happen just for one night, only to disappear again the next day. That’s why Schanze feels new every time I come here, even though I come quite a lot. I love the Nepalese snack bar Fewa Asia Imbiss, which is right next to Kopiba, another spot I highly recommend if you are looking for good coffee. I probably have lunch or dinner at Fewa every other day – that’s how good it is. If you want my personal meal recommendation, try number 102 from the menu. Do you also come to Schanze on weekends? Yes, totally. I love the flea market next to Knust, which happens every Saturday. And at nighttime, I like to head to Saal 2, my favorite bar on Schulterblatt. One last question, Krzysztof: Is that a tattoo of Le Petit Prince on your arm? Yes, it is. It reminds me to never actually grow up. This portrait is part of our ‘Guided and Curated‘ series produced in collaboration with MINI Germany – the official sponsor of Triennial of Photography Hamburg. In this special feature, Krzysztof gives us a tour of selected sites that host exhibitions during the Triennial. 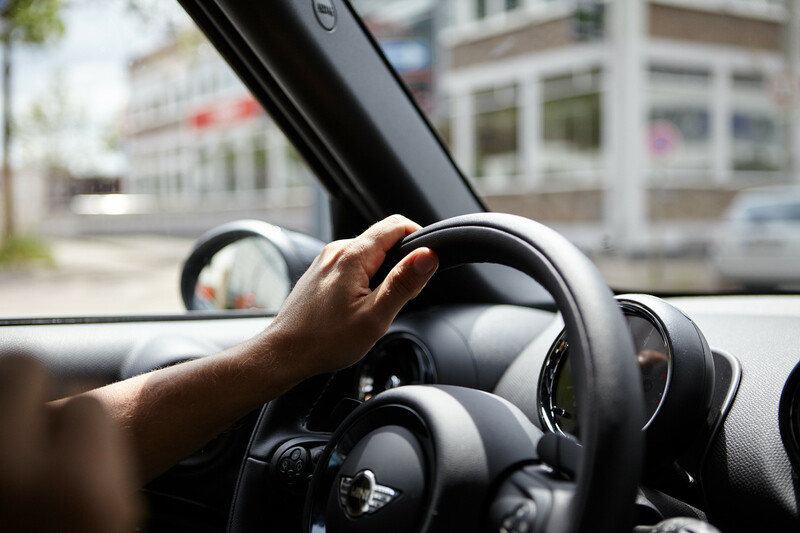 Discover all our previous interviews in Hamburg.